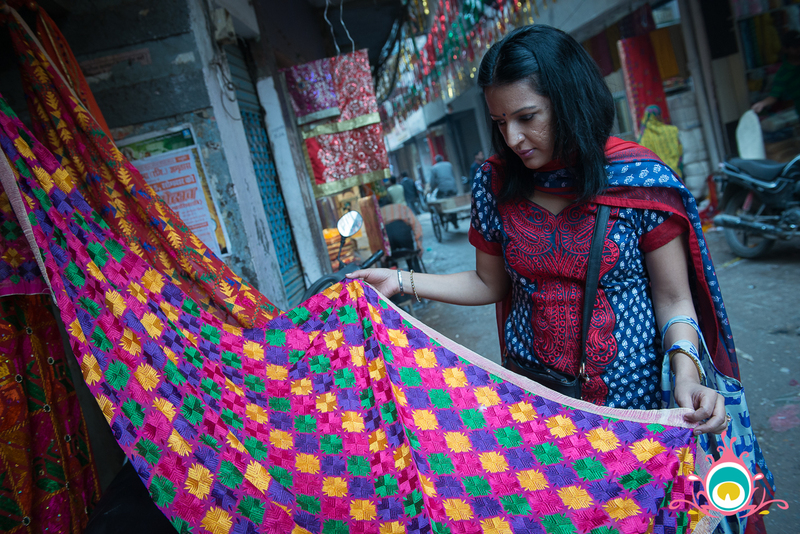 Phulkari is a traditional form of embroidery from the Punjab region, and is one my absolute favourite patterns. 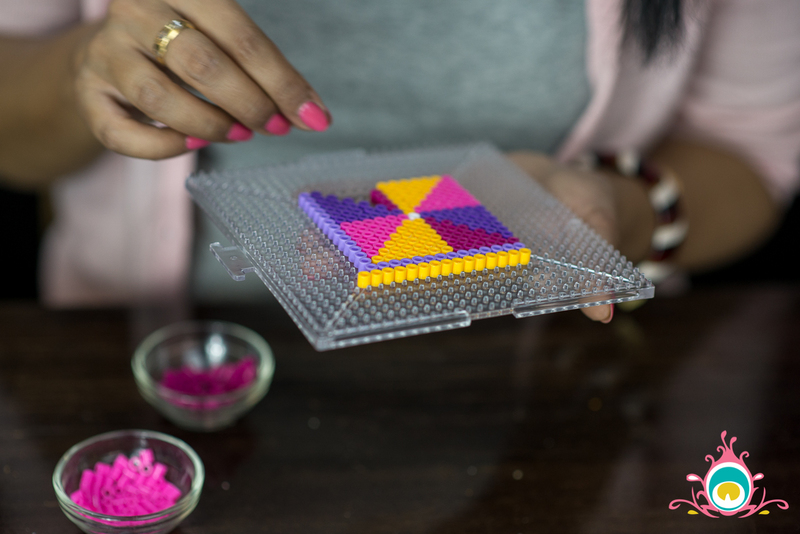 I wasn’t able to replicate the flower exactly, but the inspiration definitely came from the gorgeous pattern I saw so much of in Amritsar. 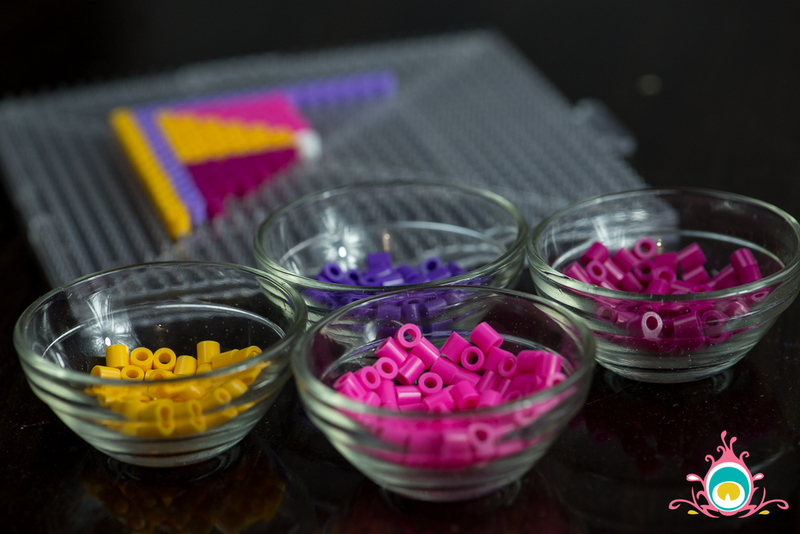 To make these coaters you will need fuse beads in a variety of colours (I’ve only ever used the Perler Bead brand, but there are other options on the market of fuse beads), a bead board, parchment paper, and an iron. 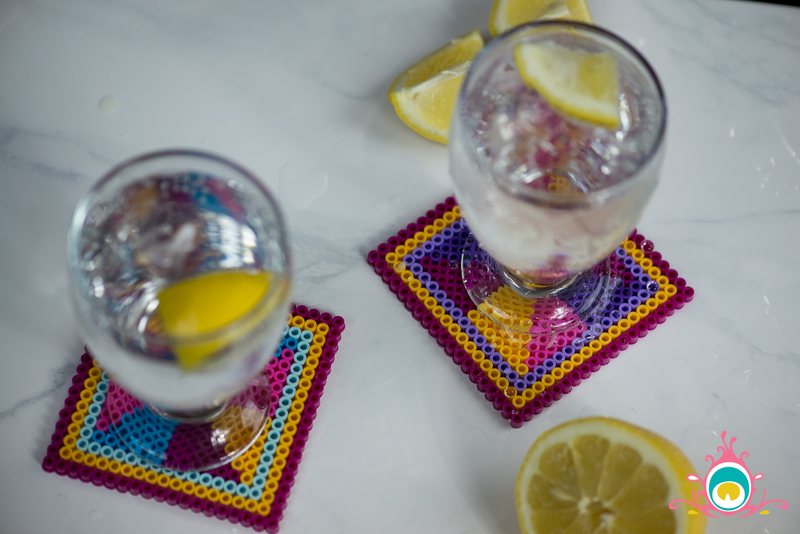 Start by selecting the size of your coasters. I made mine 20 beads by 20 beads which makes them big enough for a high-ball sized glass. 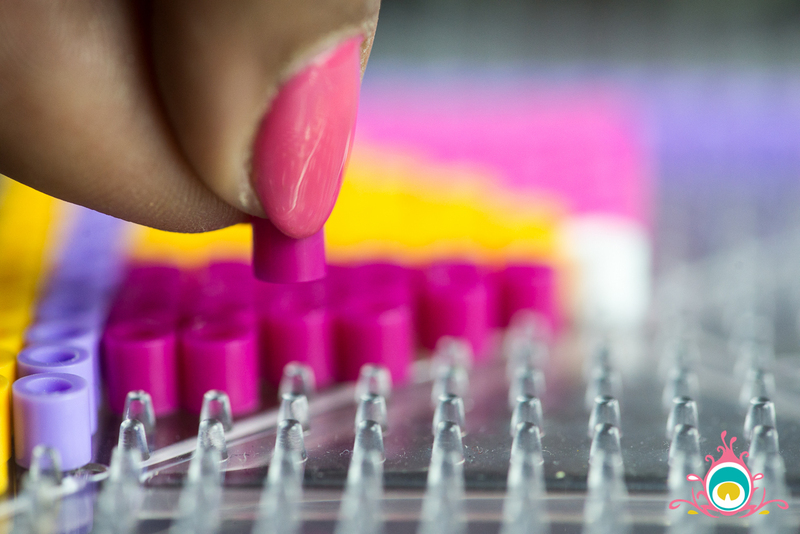 Lay out your beads in the pattern that you have chosen. 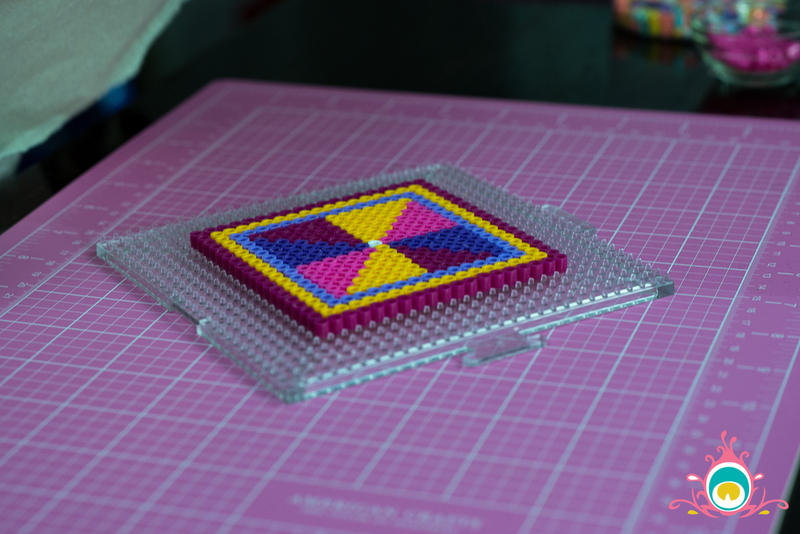 If you are doing a pattern similar to the one I’ve done you’ll need a total of five colours, and I suggest choosing colours that contrast with each other. Indian inspired designs should always be intentionally mismatched in my opinion. 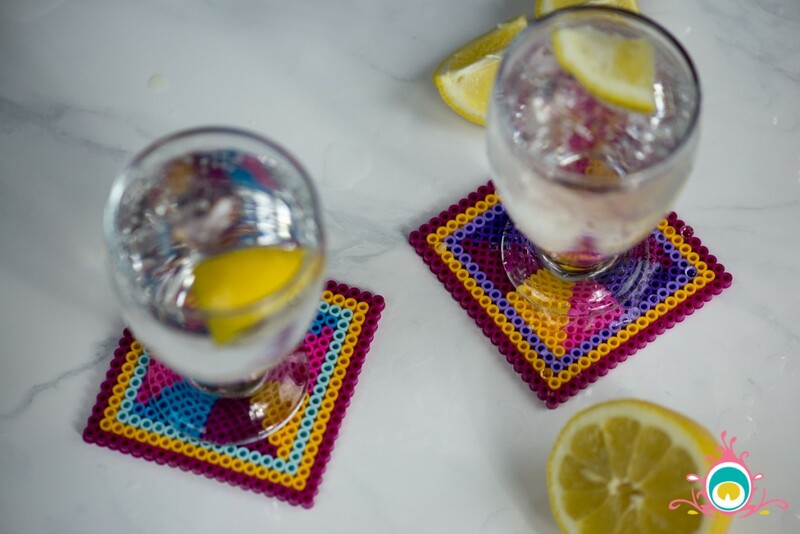 Once you’ve got your coaster laid out in the design that you prefer, cover it with parchment paper and iron on a low setting to fuse the beads together. 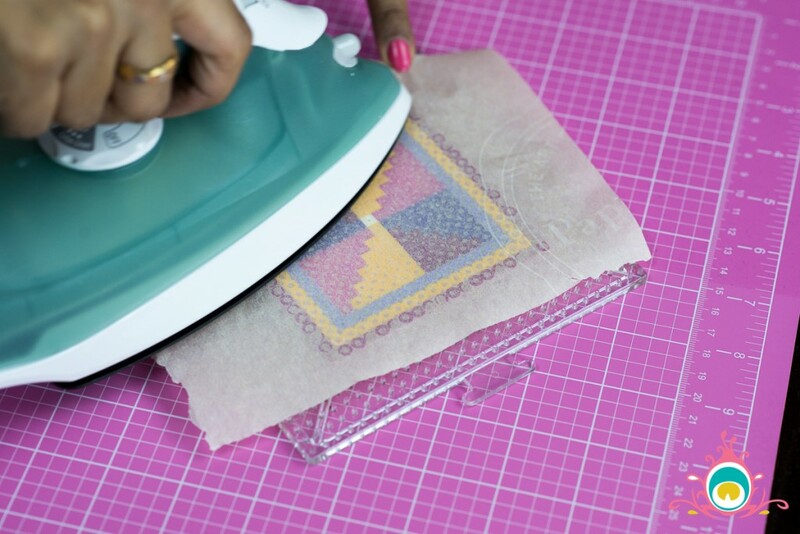 Keep the iron on a low to medium setting and keep moving it around. Also be very careful and go slowly on the edges, there is nothing worse than peeling the parchment back and realizing you’ve missed a section (been there). Slowly peel the parchment paper back and allow the coaster to cool for a few minutes before handling. 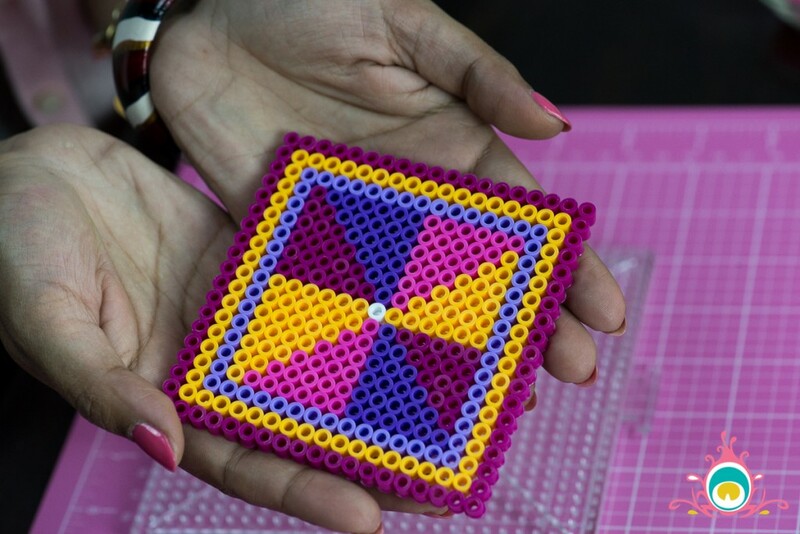 This project is quite easy to do, but it does require just a little patience when you are setting the beads up. 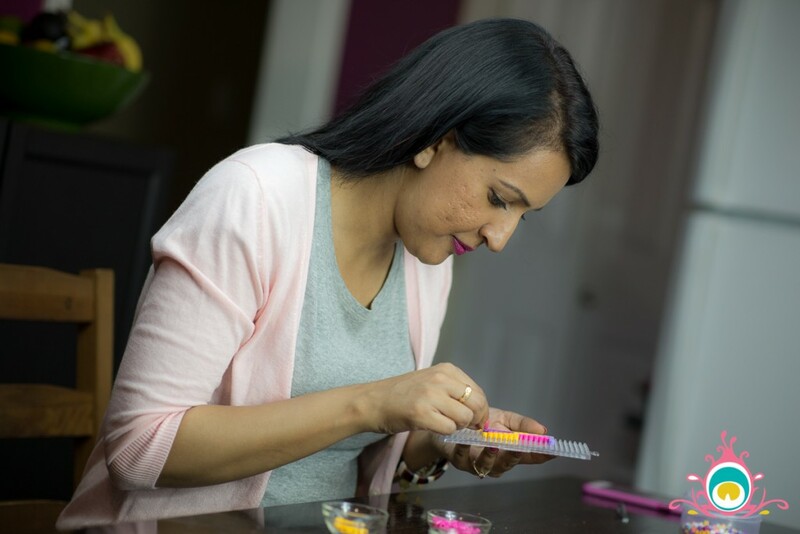 It’s a great one to do with the kids though – if they are too young to place the beads, have them sort them into piles by colour, and if they are a bit older they can practice their pincer grip! 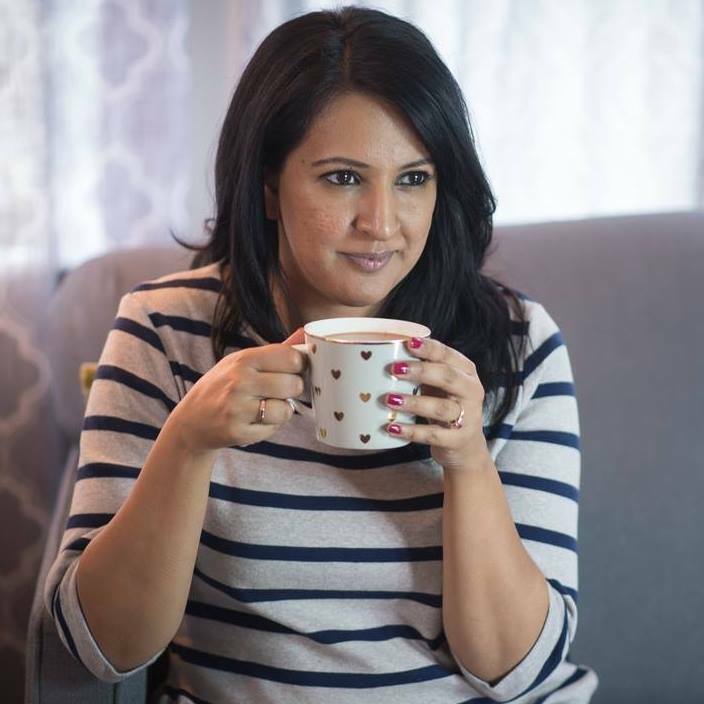 Previous Post Cardamom and Rose Coffee – My New Afternoon Treat! Your DIY projects are the best – they are so creative, colorful, and easy to try. Love the photos and inspiration behind the idea!